The Philanthropy Forum at the University of Pittsburgh Graduate School of Public and International Affairs (GSPIA) will host a free public lecture and discussion titled Wildlands Philanthropy From Patagonia to Pittsburgh: Complexities of Securing and Safeguarding Parklands for the Long Run. 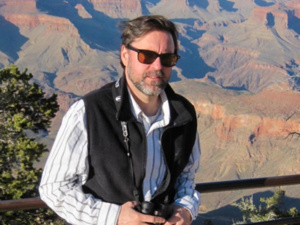 Tom Butler, Vice President for Conservation Advocacy for Tompkins Conservation, will give keynote remarks, exploring the strategies behind Tompkins Conservation’s focus on national park creation, rewilding, and efforts to foster local economic vitality through expanding ecotourism. Sparked by the vision of Kris Tompkins (former CEO of Patagonia) and her late husband Doug Tompkins (founder of Esprit and the North Face) this philanthropy builds on the centuries-old practice of public–private collaboration to safeguard cherished protected lands. In Western Pennsylvania, local foundations have created public parklands and preserved tens of thousands of acres locally and millions nationally. Working on two continents and over more than three decades, philanthropists at Tompkins Conservation have secured over 13 million wild acres, re-wilded other lands to create more than a dozen new national or regional parks. Their latest and most ambitious gift conserved over 10 million acres of national parklands in the Chilean and Argentinian regions of Patagonia. Butler's remarks will be followed by a response from Larry Seltzer, CEO of the Conservation Fund, and Caren Glotfelty, Executive Director of the Allegheny County Parks Foundation. An RSVP is requested. For more information or to RSVP, contact the Philanthropy Forum at gspiapf@pitt.edu or visit http://bit.ly/2S7LEki. Wednesday, February 13 at 8:30 a.m. to 10:30 a.m.